The LSG Department has given a total of Rs 2 crore to 23 grama panchayats and Rs 1 crore to six municipalities in Pathanamthitta, Kottayam and Idukki districts. 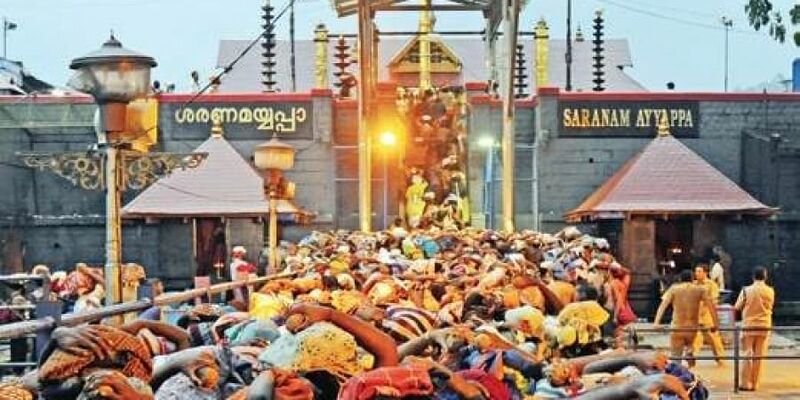 THIRUVANANTHAPURAM: The Local Self-Government Department has sanctioned a sum of Rs 4.5 crore for arranging facilities at the transit camps set up as part of the Sabarimala pilgrimage. The LSG Department has given a total of Rs 2 crore to 23 grama panchayats and Rs 1 crore to six municipalities in Pathanamthitta, Kottayam and Idukki districts, apart from allocating the special grant of Rs 1.5 crore. Around 18 grama panchayats will get a grant of Rs 5 lakh, while two panchayats will get a sum of Rs 30 lakh, followed by Rs 20 lakh to a grama panchayat, Rs 15 lakh to another local body, Rs 25 lakh to two municipalities, Rs 20 lakh to a municipality and Rs 10 lakh to three municipalities. The special grant is allotted to six grama panchayats around the Sabarimala and Guruvayur. The fund will be used for arranging pilgrim-friendly transit camps by setting up portable water facilities, bathroom facilities, resting places and preparing other ancillary facilities. The local bodies will ensure the cleanliness of the transit camps along with other facilities, said LSG Minister AC Moideen.